It is a thing of joy that Biafrans are united again in IPOB under the watch of Nnamdi Kanu. Biafrans have shown the world that they are more than ready to exit from their oppressor-Nigeria. 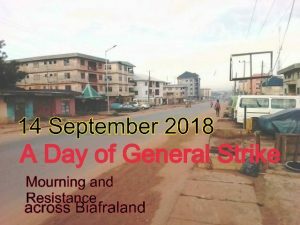 The Sit-at-Home order of IPOB for 14th of September 2018 saw all major and minor roads in Aba and all Biafra land deserted. Shops were locked down with keys and schools deserted. All government and private workplaces were locked with keys; markets totally empty; Cars and trucks stayed off the road. Police stations and banking halls were not left out as people observed their Sit- at- home exercise with 90% compliance to the second sit at home protest in the same year. 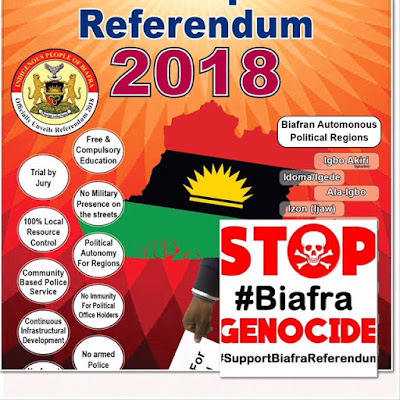 The successful sit at home exercise serves as a semi referendum to Biafrans and also marked as a sign that the people have taken their power from the government that is hell-bent on the enslavement of their people. Biafrans also used the opportunity to express their grievances to the government of Nigeria over the invasion of Nnamdi Kanu's Afara-Ukwu home on the 14th of September 2017 with their military. They protested the forceful abduction of Nnamdi Kanu and his parents and asked for their where about since then. They also used the opportunity to ask for a date of the referendum in other to decide if they wish to stay in Nigeria or exit from. 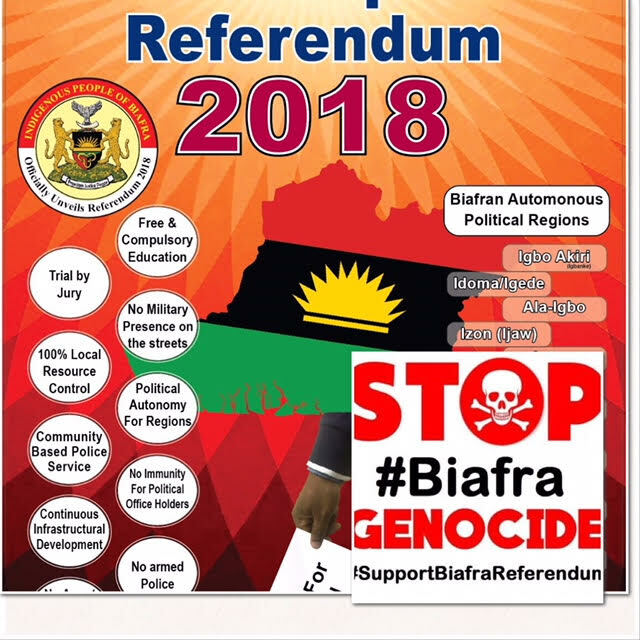 Biafrans have sworn to engage in legitimate means of self-determination under the UN charter to ensure that no elections would be held in Biafra land until the date of the referendum is given.